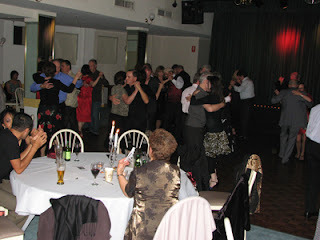 For a while there it looked like the tango scene in Sydney would keep on growing - new people came and more left than stayed but those who got hooked just couldn't stay away and became part of the scene. But this year it seems that the tango scene has gone rather quiet… some might even say stale. Few new people have come along and if they are women they will frequently go back where they came from when they find how difficult it is to get a dance at a milonga where there are many more women than men. Or worse they find themselves sitting out at a milonga where even the man they have been learning from does not dance with them. The arrival of new babies, the break up of partnerships and the disillusionment of one partner with tango have all taken their toll.